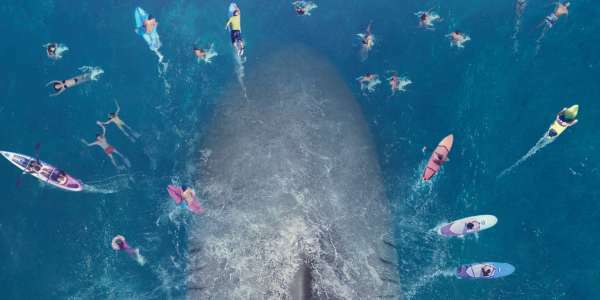 Warner Bros's "The Meg" dropped one position to the number two spot in its second week. It lost about 53% to make $21.2 million for a domestic box office gross of $84 million and a worldwide total of $314 million. It's still a solid win for Statham and shark-lovers everywhere. Or haters depending on how you look at it. In other news, all of the other genre films have dropped out of the top ten. Walt Disney's "Ant-Man and the Wasp" moved three positions to the number 13 spot in its seventh week. It lost about 36% over last week to make $2.6 million for a domestic box office gross of $208 million and a worldwide total of $466 million. Walt Disney's "Incredibles 2" dropped to the number 14 spot in its tenth week. It lost about 32% to make $2.3 million for a domestic box office gross of $594 million and a worldwide total of $1.121 billion. Universal's "Jurassic World: Fallen Kingdom" moved one position to the number 15 spot in its ninth week. It lost about 42% to make $1.2 million for a domestic box office gross of $412 million and a worldwide total of $1.290 billion. Walt Disney's "Solo: A Star Wars Story" crept up one spot to number 31. It lost about 25% to make $0.1 million for a domestic box office gross of $213 million and a worldwide total of $392 million. Walt Disney's "Avengers: Infinity War" dropped six positions to the number 32 spot. It lost about 49% to make $97,000 for a domestic box office gross of $679 million and a worldwide total of $2.046 billion. What do you think of this week's box office news?